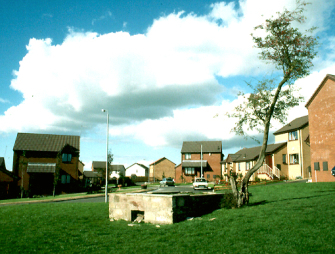 A Covenanter, believed to have been an Ayrshireman, was injured at the Battle of Bothwell Bridge. He managed to escape to this spot, but collapsed due to his injuries and exhaustion. He was found by his fiancee, Mary Rae, who nursed him using water from the well. 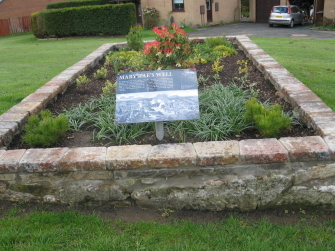 The rectangular wall marks the remains of Mary Rae's Well, which was originally located in an open field.